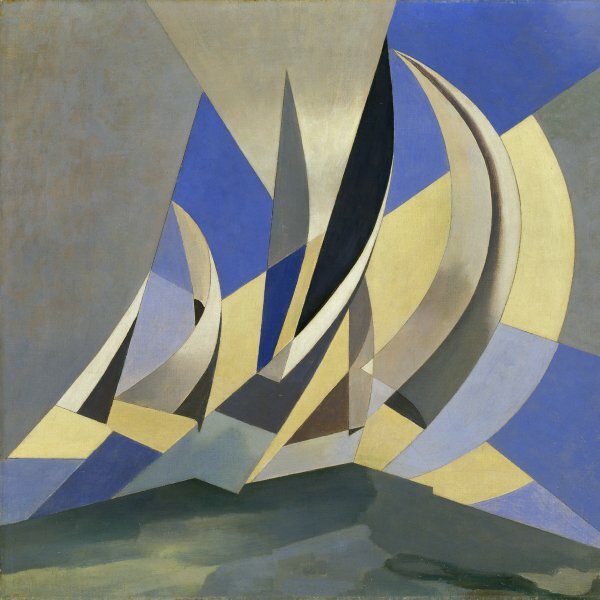 The American painter Charles Rettew Sheeler espoused the aesthetic of Precisionism. 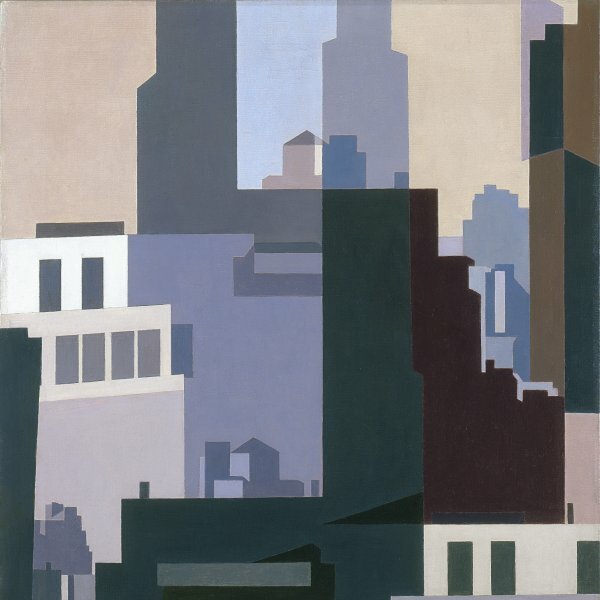 This American movement, centred on urban and industrial themes, was defined by Sheeler himself as follows: “In these paintings, I sought to reduce natural forms to the borderline of abstraction, retaining only those forms which I believed to be indispensable to the design of the picture.” Sheeler studied at the Philadelphia School of Industrial Design (1900–3) and at the Pennsylvania Academy of the Fine Arts under William Merrit Chase (1903–6). Between 1908 and 1909 he travelled to Europe, where he discovered the work of artists like Paul Cézanne, Henri Matisse and Georges Braque, and became interested in the work of the early masters, particularly Piero della Francesca. The works he exhibited at the Armory Show in 1913 attested to his adoption of ideas influenced by the art of Cézanne. During the following years he showed a more marked tendency towards geometricisation in works built from planes, such as those he made in Bucks County (Pennsylvania), in which the subjects were the typical local stone barns. Sheeler began to work as a commercial photographer in the 1910s. Around 1915, encouraged by Alfred Stieglitz, he came to regard photography as a means of artistic expression. His most famous work in this field was a commission received in 1927 to photograph the Ford factory in River Rouge (Michigan.) Partly as a result of the favourable critical reception these pictures enjoyed, photography began to be accepted as an art form. From this point onwards Sheeler often combined painting and photography. The paintings executed during the 1920s and the photomontages of the 1930s blurred the boundaries between the two.Many of Sheeler’s paintings were based on photographs and at the end of his career he created images that simulated superimpositions of slides. Sheeler focused on urban, industrial and agricultural landscape themes in which his primary concern was to capture the essence of America. His sensibility made him sympathetic towards modern and utilitarian life in which machines performed new functions that contributed to swift social change. He stopped working in 1959 after suffering a stroke.